Visually splendid, smartly written and surprisingly but satisfactorily emotional, Guardians of the Galaxy stands on its own as a great Marvel film. I’ve actually feared that this Marvel movie was going to flop. The story’s not that familiar to many, the trailer’s not liked by everybody and the only thing that’s attracting it is its Marvel brand. I guess I shouldn’t have feared because it has all the makings of a blockbuster flick. Guardians of the Galaxy (GOTG) is about a seemingly group of miscasts led by Peter Quill (or Star-Lord), a half-human, half-alien whose rogue ways made him hunted by the thieving and smuggling group that kidnapped him on Earth as a child. 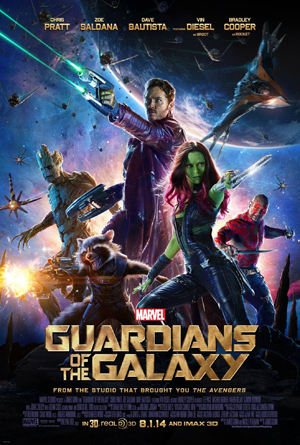 Upon teaming up unexpectedly with the other guardians, namely Gamora, adopted daughter of the mighty Thanos and the last of her species; Drax the Destroyer, an avenging warrior; Groot, a tree-like humanoid and Rocket, a genetically engineered raccoon who’s a master mercenary, he (along with his team) found a higher purpose, and that is, to serve and save the universe we are in from the dangers highly powerful creatures bring. GOTG’s got terrifically marvelous visuals. I was awed by the graphics and effects of this movie and thought the production behind it didn’t restrain its team from making it really look great. Anyone who’s got a clear, good vision will be stunned by its superb cinematography and production design. Witty one-liners: This movie’s got a whole lot of these killer funny lines. I think I’ve laughed here more than any other film I’ve watched this year (including those old comedies I’ve watched in the comforts of our home). Plus, it’s got a real good story going on. What’s more impressive is that it’s still tied in with the story arc of the other Marvel movies that are due in the next few years. These ludicrously smart tie-ins might just be superb promotional maneuvers for the companies behind these movies, but if we get to be fully entertained by the fantasy these Marvel stories bring, who are we to complain? Parks and Recreation’s Chris Pratt is a revelation in the film. Who knew he could carry an enormous Marvel movie with him on the lead? Nevertheless, his funny antics and childish charm have certainly helped. Zoe Saldana showed she’s a tough lady by performing as Gamora. Meanwhile, Dave Batista (as the rough Drax), Vin Diesel (as the lovable Groot) and Chris Cooper (as the whiny Rocket) proved that there are no small roles as they perform well in their respective challenging characters. Meanwhile, I did not see any sign of Lee Pace as he shows how to be a main villain in the movie. I love the editing done in the film. GOTG didn’t seem very long for me considering the short attention span I am having with films lately (haha). I enjoyed its pace, which was enough to present who are these guardians of the galaxy and how are they a part of the whole Marvel universe. The director of the movie, James Gunn (Slither), seemed to love this movie so much he probably even cared about the nooks and crannies of each scene, aside from how his actors fare in front of the camera. I am hoping he will still be the director and writer of the expected sequel. Hmm, if those things I’ve said are still not enough for you to watch the movie, just listen to what’s more to love about this film… its great soundtrack, of course! Dawn of the Planet of the Apes is fascinatingly awesome. The movie continues several years after the conclusion of Rise of the Planet of the Apes. The smart, genetically-evolved apes led by Caesar went to the jungle and made their own colony. They grew in number and many of them were trained to fight to survive. Meanwhile, a few of the remaining people living in a fortified complex in what remains of the San Francisco City ventured into the jungle to fix the dam that provides power. One of them encountered two of the apes and shot one by accident. Caesar and the rest of the apes appeared before these people and warned them about the implications of going to their territory. Will this start the war between the humans (who have dwindled in number because of the virus tested to the apes more than a decade ago) and the smart, strong and talking apes? The movie was full of surprises. If you think you knew what’s about to happen, think again. The struggles humans face in the movie’s virus-stricken world made it a lot harder for them to live. The sharing of work was still there, but their activities were certainly limited. This was in contrast to what the apes were up to. They’d been hunting, training hard and educating the young. Both humans and apes found each other a threat, and it’s up to a few good people to stop the impending war between them. Hats off to Matt Reeves (whose movies include Conviction and Cloverfield) for brilliantly directing the movie. Imagine, if directing human actors on the set is hard enough, what more if they’re interspersed with visual effects to make it appear like some of the human actors are apes. The way he tells this saga about humans and apes is consistently good and really smart. He knew what to do with the story and it showed magnificently onscreen. Andy Serkis ably reprised his role as Caesar, the leader of the genetically-evolved apes. The way he moved and emoted showed ease and control that his character possesses. Toby Kebbell almost stole the show with his portrayal of Kobo, Caesar’s brutal ape adviser. Meanwhile, Jason Clarke and Keri Russell (as Malcolm and Ellie, respectively) held well in portraying the humans who went to the jungle and created a bond with the apes. Needless to say, this movie has superb visual effects. The apes in the film looked amazingly real. It would make people wonder how the production team was able to come up with a lot of apes interacting with humans in various scenarios. 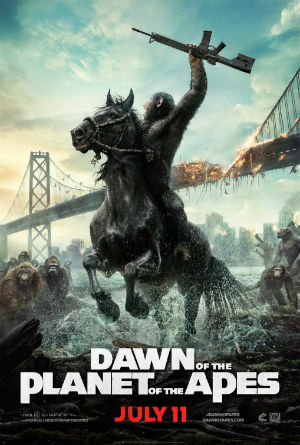 It’s like Rise of the Planet of the Apes (its superior predecessor) gone bigger and better. This movie was a testament on how well the technology used in films has advanced throughout the years. The movie was filled with satisfying action scenes. The scenes depicting the war wrought by apes to humans were commanding of attention as they were excellently choreographed. Humans battling the apes looked good, but apes battling other apes looked better. Dawn of the Planet of the Apes was outright dark right from the start. It’s got light moments and funny ones once in a while, but its atmosphere got darker as it progressed. When Kobo took power in the ape colony, the movie became hauntingly terrifying. The ante of suspense got higher and was thoroughly sustained until the end. In addition, Michael Giacchino delivered an intense musical score, making the scenes a lot more terrifying. 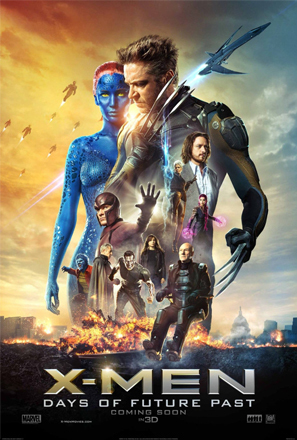 X-Men: Days of Future Past is the most exciting, most compelling and most beautiful X-Men movie since the first X-Men film in 2000. As a fan of the X-Men comics, cartoons and video games, I was in such a wild ride (again) while seeing the characters that I love battling each other and manifesting their powers on the big screen. It was sort of like a dream come true! Just imagine the euphoria I would feel if this movie was several hours long! Moving decades forward since the conclusion of the X-Men: First Class, Days of Future Past presents the greatest threat to mutants that could wipe them all out: the sentinels. As mutants seem to die one by one because of the indomitable and powerful sentinels, Professor X and the remaining members of his team take action by doing what seemed to be impossible: sending a mutant to the past. The chosen mutant, Wolverine, would be tasked to change what has been done that has led to their current predicament. Will Wolverine be successful in changing the events that coursed through time? Bryan Singer is a perfect fit for the X-Men movies. With his delicate and classy presentation of the characters, the engaging battle scenes, from the funny and light moments to the oh-so-awesome-how-did-they-do-that action-laden sequences, you would know he really loves and cares for the whole X-Men saga. The great camerawork and editing of the scenes paved for a very engaging film. And needless to say (but still I will say it), the visual effects used are superb. I have never been so happy while watching an X-Men movie. Both senior and younger actors really impressed with their great portrayals all throughout the film. With the calculated and careful ways of the old Professor X and Magneto made alive by Patrick Stewart and Ian McKellen, firmness and persuasiveness of the young Magneto by Michael Fassbender, careless ladida of Quicksilver by Evan Peters, the fragile yet still fighting young Professor X by James McAvoy, the cool shifting aura of Mystique made possible by Jennifer Lawrence, the tough, charismatic presence of Wolverine by Hugh Jackman, the unyielding determination of Bolivar Trask by Peter Dinklage, the smart, funny and engaging characterization of Beast by Nicholas Hoult, the classy moves of Storm by Halle Berry, the delicateness of Blink (Fan Bingbing), the perseverance of Kitty Pride (Ellen Page), the coolness of Iceman (Shawn Ashmore). The list of awesome characterization of the actors just goes on and on. Days of Future Past, though, is not just an entertaining film. It comes with a powerful message. In the film, mutants are feared because of their abilities and this is why they’re persecuted or even killed. In real life, people in all kinds of minority are persecuted because of the others’ fear of their potential: what they can do and how they can do it. This film does not merely suggest equality, but right treatment people deserve no matter what or who they may be. 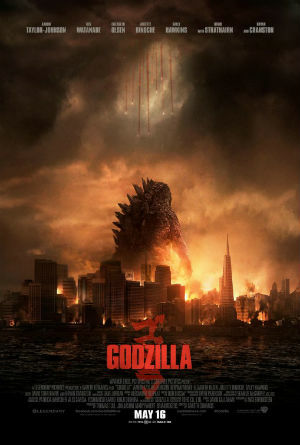 Highly intense and fast-paced, Godzilla is a great remake of the movie about the god of monsters. I missed watching monster movies and watching Godzilla made me feel so good I could watch it again anytime soon. In comparison with another early summer flick, Godzilla was more enjoyable than Spider-Man. 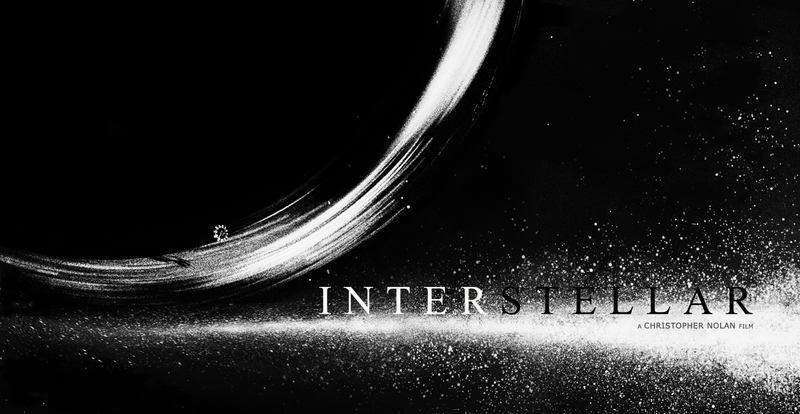 When suspense in this film hit really hard after some time, it just kept on growing and growing. There were moments when the suspense was too high and couldn’t have gone any higher, but thanks to the great directing by Gareth Edwards and editing by Bob Ducsay, the scenes ably shift into essential quiet moments to pacify the high tension. People would have experienced a heart attack if this wasn’t done. Haha. The different settings the movie had shown were so intricately designed one would know they’ve been worked on meticulously. I was awed on how they were able to do the scenes, with or without the monstrous creatures, into something of a great spectacle. The movie is filled with action scenes: monster-to-monster battles, monsters destroying cities, humans defending against the creatures, humans evacuating but are caught on the monsters’ wrath, among others, that is why action fans (like me) would find Godzilla a great movie to watch. Meanwhile, the special effects and sound departments should be proud of what they have made. The screen sizzled with awesome visuals and trembled with great sound making the movie more realistic. Scenes in the San Francisco bridge, along Nevada railroad and in San Francisco’s Chinatown were real standouts; action movie directors should have taken notes. These great directing, stunning special and sound effects plus the whole lot of non-stop action bode well for this type of flick. The senior actors may have dominated in the movie but the younger ones held on their own. Bryan Cranston, best known as Walter White in the television series Breaking Bad, was outstanding as Joe Brody, a nuclear physicist who dedicated a big part of his life in unraveling the mystery of the disaster that brought down the nuclear power plant he’s working on in Japan. I didn’t see Walter White but the character he’s portraying with the way he carried out his scenes. Ken Watanabe, meanwhile, looked like he’s clueless or confused most of the time, but it worked to define his character as Dr. Shiro Serizawa, a lead scientist working for Monarch, a secret organization that is tasked to keep true reasons of disasters in nuclear power plants a secret and protect the world from monsters like Godzilla. Aaron Taylor-Johnson, as the son of Joe Brody, was successful in unraveling the mystery his father was working on. Even though he moved along with the military to fight the monsters wreaking havoc on Earth, he’s able to carry the movie on his shoulders as the key character in resolving the conflict in the movie. A lot of things happened in the movie’s two-hour screen time and yet it seemed like it wasn’t that long. I felt great suspense in those two hours and the quiet moments mentioned before served as much-needed breathers in this action-packed movie. Some people might find the beginning arc of the story long as Godzilla wasn’t featured until after an hour or so but I think that was needed to keep it more interesting. Moreover, other people might find the ending as an abrupt conclusion of the story but for me, it’s as good as it gets. The suspense was so high during the entire final scenes and what’s a better way to end it but to cut it short and sweet? 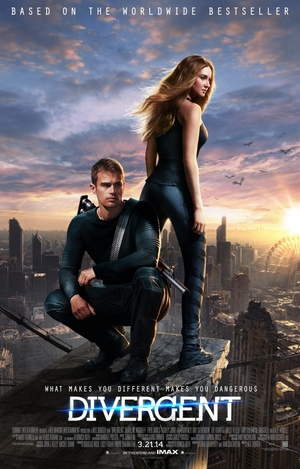 Divergent was beautiful to look at with its stylistic approach in presenting a dystopian society. However, I was expecting it to be made more with substance and not just style. The writing tried to make the story deeper than it could, though its too predictable of an ending forbid it to be so. I like how the writers made a good introduction of the Divergent story. Those people who haven’t read the book must be introduced to the plot: In the future, people living in Chicago are divided into five factions (Abnegation, Dauntless, Erudite, Candor, Amity) which are determined based on each person’s character. The story’s heroine, Tris Prior, is a divergent: a person who doesn’t conform as he or she can think independently and does possess the virtues of not just one faction. Jeanine Matthews, leader of Erudite, wants to eradicate her type as divergents are not predictable, therefore, dangerous. It’s up to Tris, her friends and her family to stop Matthews from her evil plan. Shailene Woodley showed promise as Tris Prior, but it’s evident that she’s no Jennifer Lawrence. Even though many of her antics and nuances are consistent with her character, I found her not tough enough for the role. Theo James on the other hand, made Four, Tris’s love interest, real on the screen. Their supporting cast was good enough, though none left a remarkable performance other than Kate Winslet, whose cool confidence made her a good fit as Jeanine Matthews. Everyone though that Divergent would be the next Hunger Games but it simply isn’t. 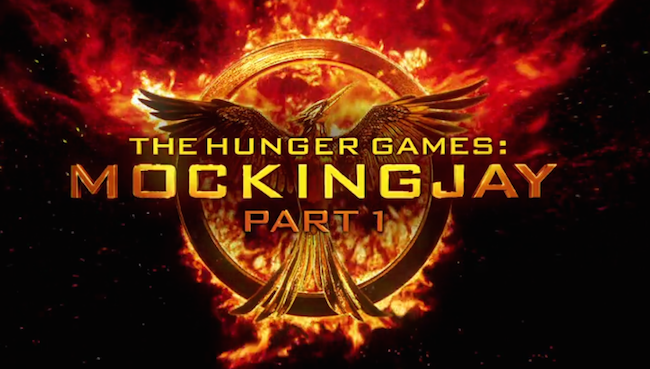 It may be better than other movies based on dystopian books that are released recently but it is not as good as the aforementioned movie based on the Suzanne Collins novel. Divergent’s got commendable visual effects though its lack of action and good direction made it just a so-so of a movie. Is it a waste of the Veronica Roth story? Not really. It could just have been made a lot better.